Finance your dream home in Tucson & Surrounding Areas Imagine buying your dream home. Connect with a lender to help you make it happen. Please do not submit any confidential information. 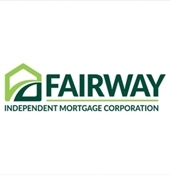 This will be shared with both Fairway Indpendent Mortgage Corporation and Realty Executives Tucson Elite. Let me know how I can assist you with your All of Arizona mortgage needs. I am here to help!